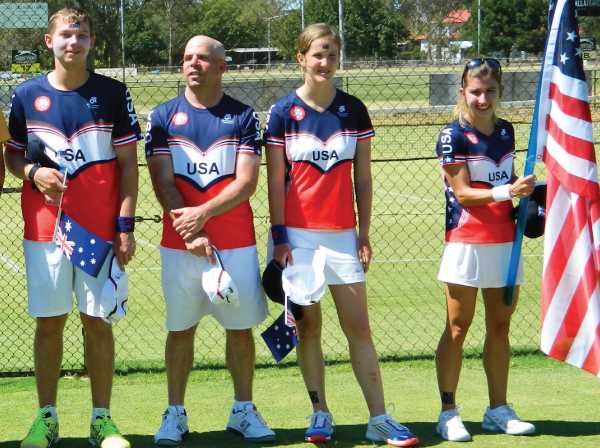 Just months after launching our tennis program to develop high performance players with an intellectual disability, Athletes Without Limits entered four players from around the US in the 17th Australian Tennis Championships. 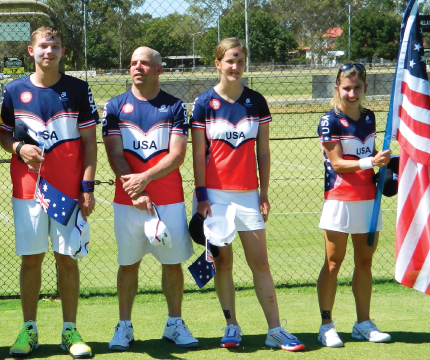 The tournament is part of the Australian Open and 2014 marked the first year US players were invited to compete. Brittany Tagliareni placed third in the women’s singles while the men’s and the women’s doubles each took third. The players also competed in a US vs. AUS lawn tennis tournament, had private tours of the Melbourne Cricket Grounds and National Sports Museum, and met the US Consulate General during the trip. 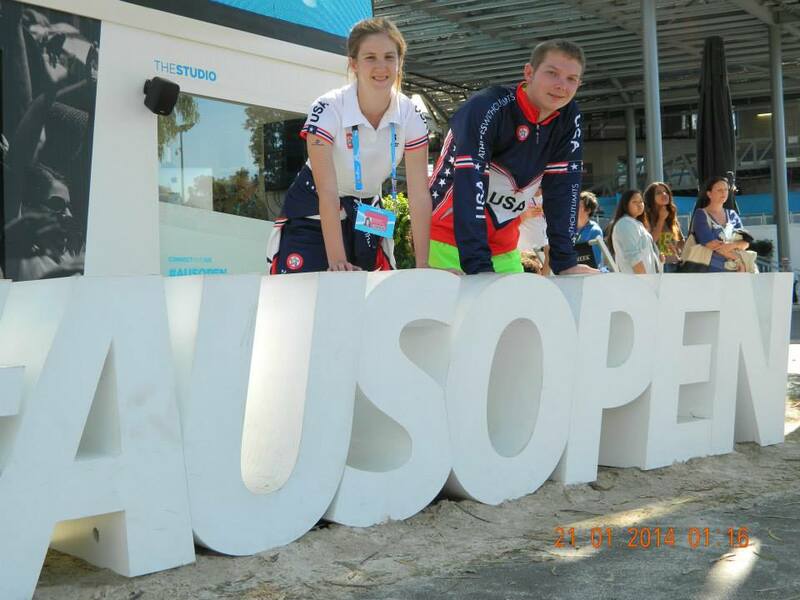 Building on the their Australian experience the US will compete at the 2014 Tennis World Championships for players with an intellectual disability in Mont-de-Marsan, France. Under the direction of coaches Diane and Jack Barker, players will train intensely and participate in camps and competitions to prepare to take on the best tennis players in the world. Many other countries get support from their federal and local governments. The US team receives no such support and needs your help to fund their training and competitions. Make your tax-deductible donation online at athleteswithoutlimits.org/donate.